the link collection will be open all week long in case you're not yet ready to link up today. you may also link up sketches with themes we had previously, in that case please write your theme into the name/description line. you can link up your specific blog post, flickr upload, etc. Yes, i agree with Karen! And he seems to be THRILLED about his outfit! Made it time before the link closed! 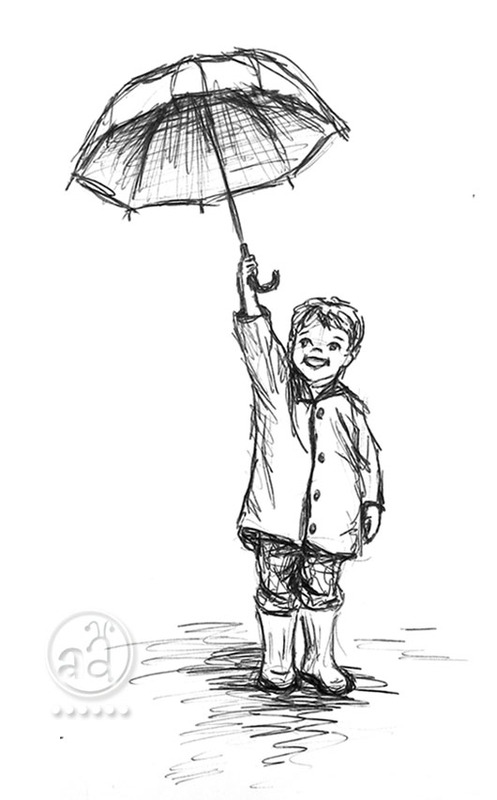 I love the rain boots and umbrella that the child in your sketch has. The perspective on the boots couldn't be any better.